Good morning everyone! 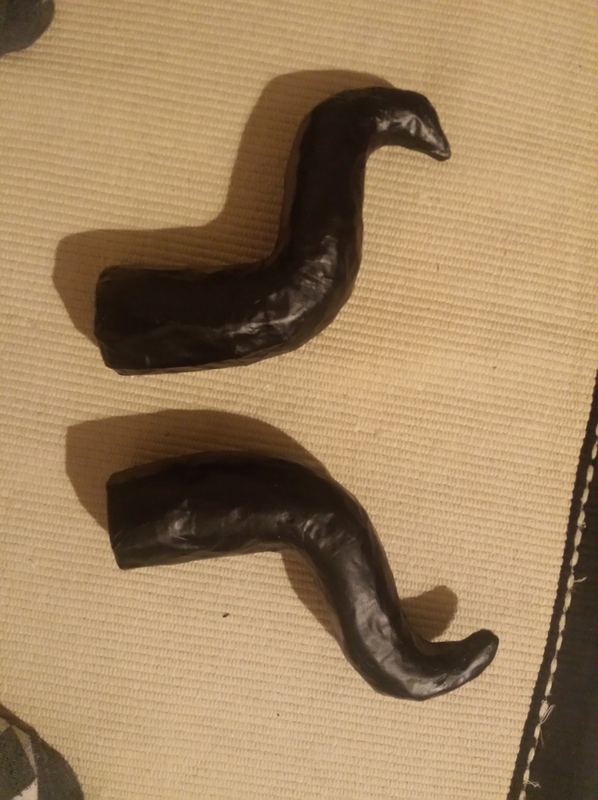 I have at last taken the time to update with my Maleficent horns DIY I did for Halloween this year! I had intended on doing more, but I got so busy I only was able to make the two horns vs the cap, horns and dress that I wanted. Anyway Here we go! 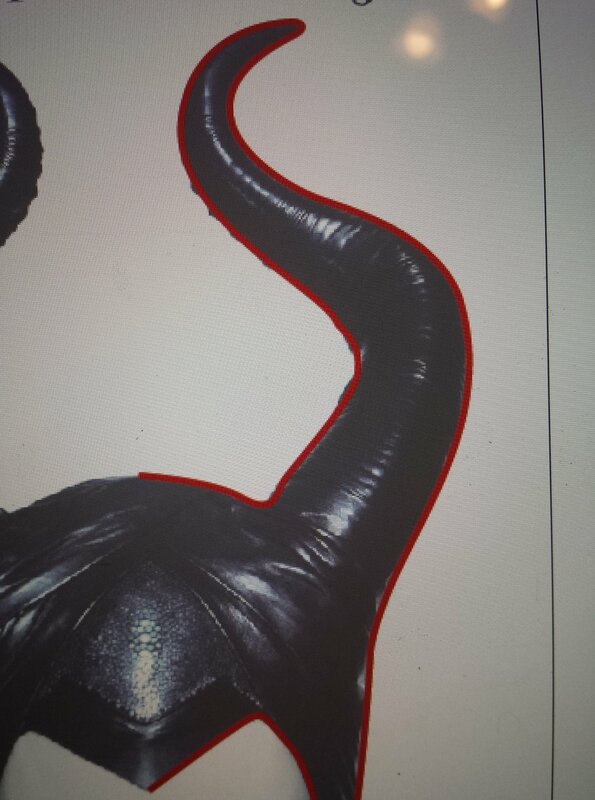 First I found an image I liked of Maleficence’s horns. I too that image into Illustrator and traced along the horns with the pen tool to make a template that I could cut out. After I printed the template out, I cut it like the image above. 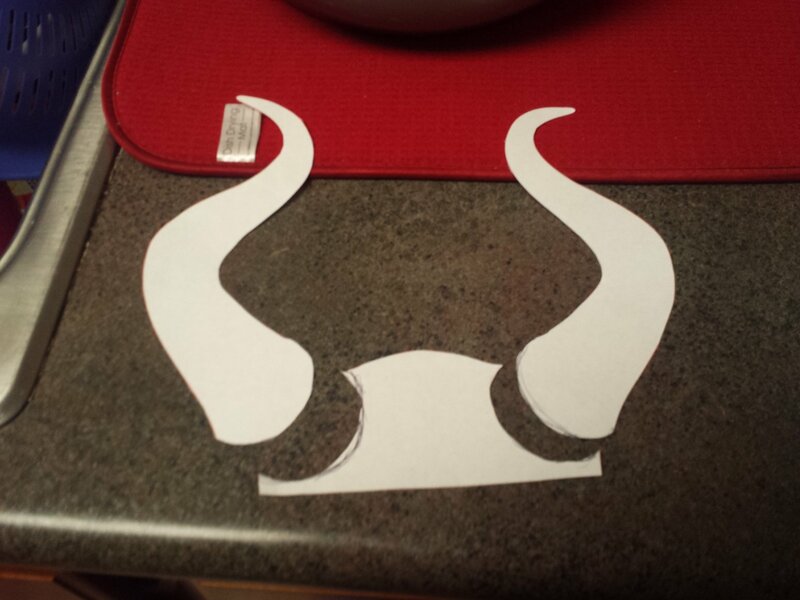 I wanted to work on the horns first so I cut them out and traced them onto some cardboard. 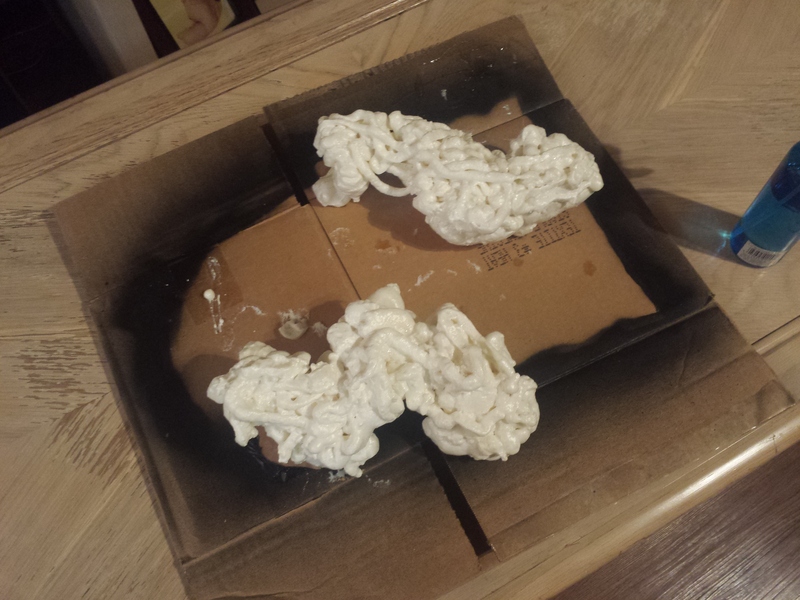 Once they were traced to the cardboard, I got expanding foam from my local hardware store. The brand of the foam I got is called, “Great Stuff,” and I purchased the one in the black can. I was told the one in the black can is easier to carve and it expands more than the other ones the brand provides. I sprayed one side of each horn first. I let the foam dry, then flipped it over and sprayed some on the back of each horn. Please note, the back looks different because the nozzle became clogged and I didn’t get a nice flow like the first time. If anyone has any ideas how to keep the foam nozzle from clogging, please leave a comment because I’d LOVE to know! CARVE YOUR HEART OUT! I got two sizes of cutters. A small and large size. Large was for the bigger areas and of course the smaller cutter was for the smaller detail. I just had an easier time controlling my cuts with this method. Anyway, as you can see, the foam is pretty messy but I honestly don’t mind. You can easily pick it up and trash it. So here is one horn I did. I loved the way it looked and feared carving the second one. Now here they are together. 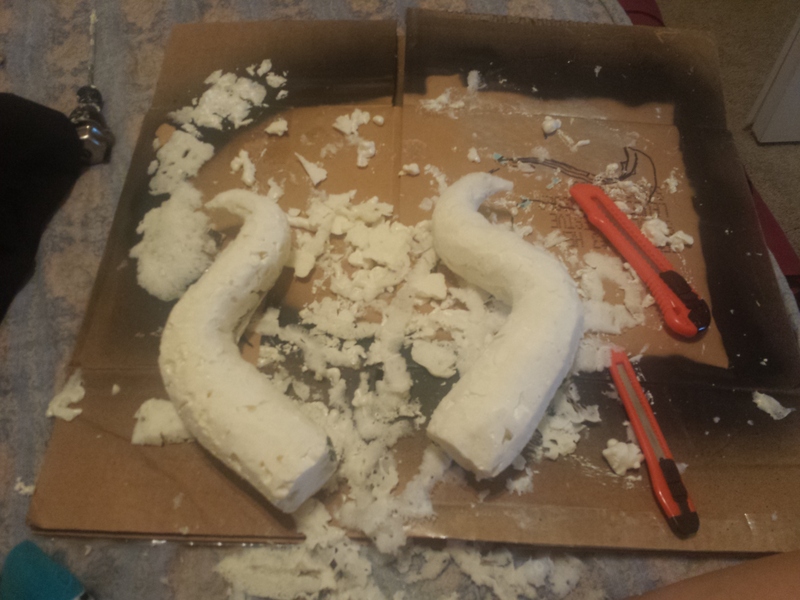 You can see some holes in the horns foam from where it didn’t expand enough, but they is super simple to fix. Some people use paper clay, such as “Creative Paper Clay,” while others use a light weight Spackle, or in my case, I wrapped the horns all up in masking tape, mainly because I was tired of driving into town to get supplies. I have regular spackle, but I feared how much weight it would add to the horns. For some reason I can’t find the images I took for this step so I will just type it out. Like I stated above, I wrapped masking tape around the horns to give it a smoother look. 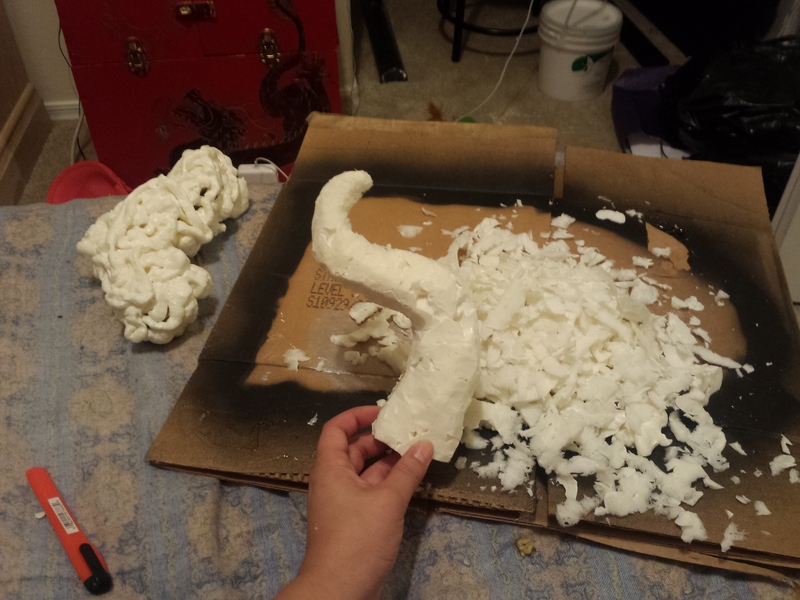 After that, I decided to use paper mache to add durability to the horns. I did about 5 layers of paper mache, then lightly sanded down the top layer for a smooth finish. Make sure to let each layer of paper mache dry before you begin a new layer. 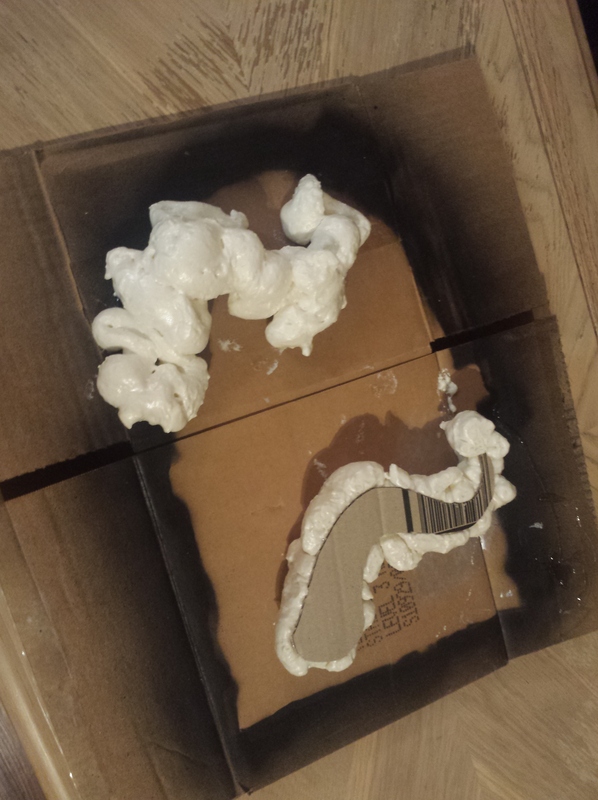 Also, I cheated when it came to the paper mache, and used liquid starch instead of making my own goo for the mache. 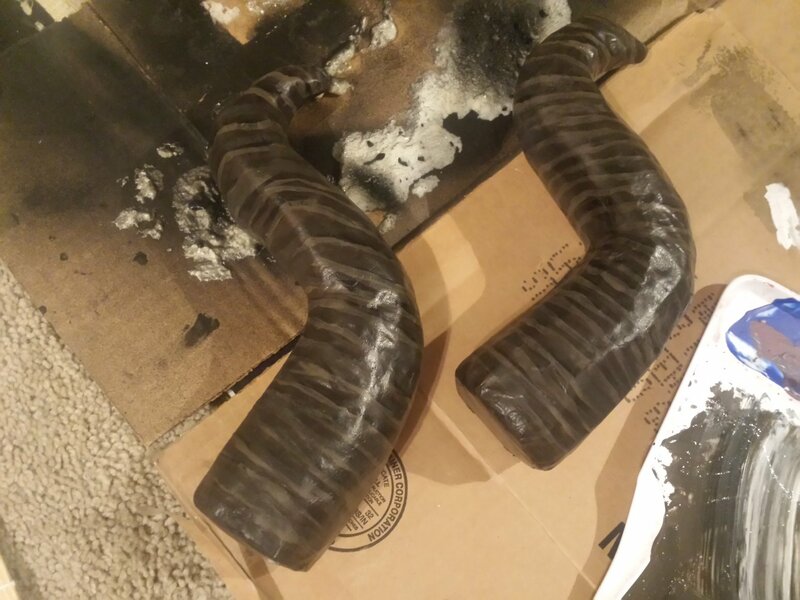 After the mache dried, I sprayed each horn with “Plastidip.” Plastidip is a spray-able rubber that’s used for tool handles or to seal and area off from moisture. Since my horns are made of rubber, tape and mache so far, I decided using Plastidip so my hard work wouldn’t turn into a yucky sponge should water get on them. Plastidip comes in a few different colors, but I got black since it would work better and I wouldn’t need to use so much paint since Plastidip also works as a PRIMER! Awesome, right? Painting the detail. I used just regular acrylic paints for the detail and painstakingly painted rings around the horns. 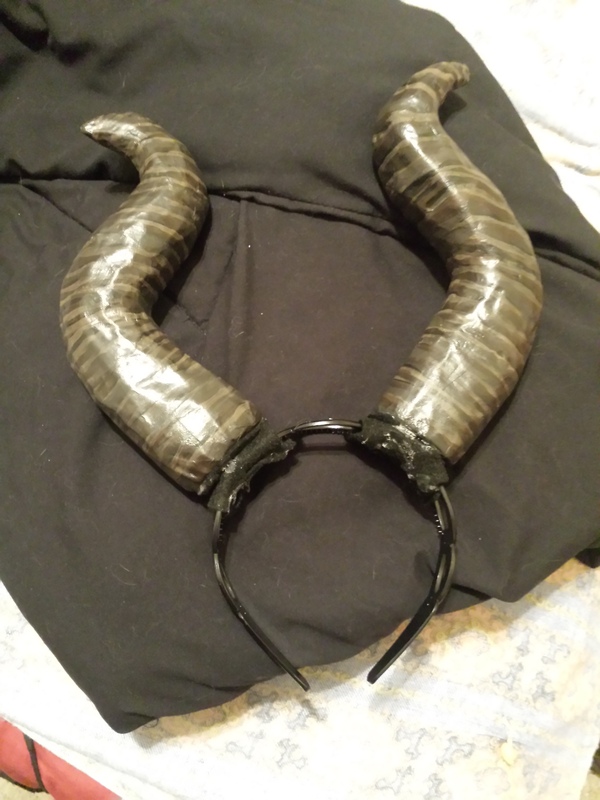 I decided to this since at this point I realized I didn’t have enough time to make the cap and wrap leather around the horns, therefore I went for a more “realistic” look like when Maleficent was still “good” in the movie with Angelina Jolie. The browns I used were created with my primary colors I had on hand. And ta-da! Complete. Although I’m not sure why one horn looks off in this image. I wear it doesn’t look off in person. Not sure what happened here, but alas, this was my first try and I’m quite proud. I attached the horns to a headband with some black felt. I wrapped the felt around the headband and hot glued the felt together, this way I could take the horns off and still make the cap at a later time. However, I believe I will just make a new set of horns when I do the cap project. So there you have it! My kind of tutorial of how to make Maleficent horns! Thank you! Please like and share if you found this useful! Forever Sailor Moon – T-Shirt!